First, check to make sure that your child is the appropriate age to attend the youth programs available. Each cruise line has different ages of entry, but you can be sure that all only offer youth programs until age 17. No company is going to allow 18 year olds to hang out with 14 year olds. So, be prepared if you are cruising with someone between the ages of 18-20 they are pretty much lost in between the ages of programming. They are too old for youth programs and too young to be permitted into the evening clubs and/or served alcohol. All cruise ships (regardless of where they are cruising) go by the U.S. Drinking age of 21. For young people from most countries other than the U.S. this is a big shock. Some cruise lines offer daycare/youth programming for tiny infants, but very few do (Disney may be the only one). 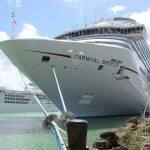 Carnival begins youth programming at 2 years of age, but most cruise lines begin at 4. Some lines will change diapers of young children, others will not. Check their information online or consult with your travel agent to ensure you have all of the information you need. Another piece of information to note is that ages of different programming are set by the cruise line and are very rigid. So, if you have a 5 year old and a 7 year old you will not be able to have them in the same program regardless of whether or not they are siblings. Prior to boarding I highly recommend that you either pre-register your children, or print out and fill in the registration forms. There is often one time on the first day that you can enrol them and there are long line ups. Having your paperwork done means you will be able to get through the process quicker. On our most recent cruise with Carnival, we were assigned a cell phone on the night of registration that we needed to show the staff every time we dropped off our children to ensure that we were reachable while our children were in their care. Programming for children is really well done. Activities change frequently and kids have options to participate in as much or as little as they’d like. Some children are hesitant to join, but if encouraged usually love the experience. Think of it as dropping your children off with a babysitter. While they might cry at first, by the time you are 5 minutes away they are engaged and happy. My philosophy is that kids get bored doing what adults want to do all the time and vice versa. So, we make sure that we drop them off on the first day at the program so that they can get used to it, make new friends and mom and dad get some adult time. Looking for nighttime babysitting? Cruises offer programs that allow kids to come to their program late into the night so you can revel in the ships’ nightlife. There is an additional charge for this that will be billed to your onboard account. On Carnival, this program is called the Night Owls program. Kids get a fantastic little bag filled with really great items – a stuffed pillow, watch, toothbrush, pen, insulated lunch bag, and a nightlight. 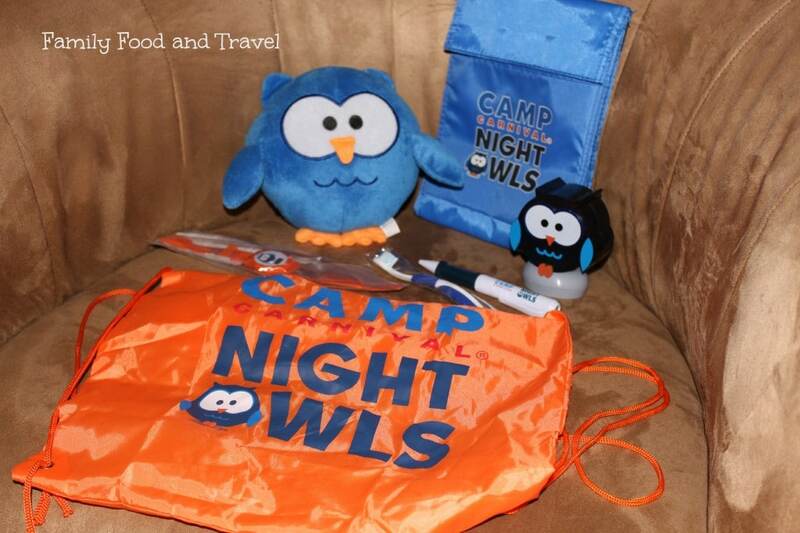 Camp Carnival’s Night Owls program bag loaded with fun stuff for kids. Our boys loved Camp Carnival and were excited to be dropped off everyday. The Youth Staff were fantastic, and with a cell phone on us at all times we felt safe, secure and confident that our boys were taken care of. Most days we could barely tear them away from the center so we could spend time together on the ship. The most important part of youth programs on cruises is to make sure that you know what is available, what suits your son/daughter and get your kids registered as early as possible. Then you can sit back, relax and enjoy the cruise! Camp Night Owls! Love it. My girls would be all over that. I love when cruise ships and resorts do kids clubs right. It can make a world of difference for the parents. Candace recently posted..Triscuit. Your Stage is Set. Candace – it so does! Carnival did such a fantastic job of making the kids feel right at home and special for being there in the late night program. Are there many parents who’d drag their 18-20 year old kids on trips with them? When I was 19, I would have refused to go along. BTW: I just checked… Norwegian Cruise Lines will allow 18-20 year olds to purchase beer and wine with permission from parents/guardians (and they must be on board) when the ship is on international waters. 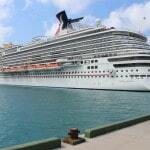 Cynthia – unfortunately Cruise Critic does not display the correct information. It’s always best to get the information straight from the source. Cynthia, lots of teens and early 20’s go with their family’s on cruises. It’s a great vacation for all age groups and an opportunity for family’s to be together. Sorry to hear that you didn’t want to be with your family at that age. I’d never turn down a vacation with my parents no matter my age! When I was around 15 or 16, I was very grouchy when my parents wanted me to come along and I’d have to leave my friends. But by the time I was 18, 19, and in my 20s, I jumped at the chance to join them any time I could! Vacations memories are awesome. Coffee with Julie recently posted..Can Gadgets Help Kids Be More Active Or Are They Just Gimmicks? This is great information. We haven’t gone on a cruise yet but hope to in the near future. My kids do like to stick together so looking into the age divisions is a good tip. It sounds like they’d have a blast no matter what. They’d have a great time Susannah – definitely a perfect vacation for families. Great information! I honestly had no clue that regular cruise ships had programs for kids. I thought it was just Disney for some reason. I have never been on a cruise before but we are likely planning one for next year…these are invaluable tips! Thank you! I’ve never traveled with my kids but I’m glad to hear they have programs like this for kids. It’s sad that they don’t have a special teens program though. Very interesting! I’ve never been on a cruise myself before and if I were to go now, the kids would definitely be joining us if we did go. I never thought of this situations! Thanks for sharing! Love the camp loot bag! Our family has cruised 6 times (twice on Disney, twice on Princess, on Holland America and on Celebrity) and the youth programs have been different on all of them. 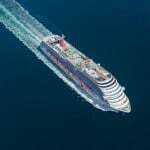 I would definitely agree that the most important thing is to check the website of the particular cruise line that you will be sailing to find out what their policies are so that there are no surprises once aboard. An 8 year old, for example, would be in the 3-8 year old group on Princess but in the tween 8-12 year old group on Celebrity – two very different experiences! 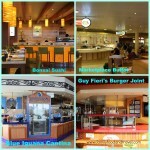 We have had very positive experiences with the youth programs on all of the cruise lines that we have sailed. Interestingly though, on our most recent cruise on Disney my 9 year old hardly attended the youth program at all whereas on other ships she has begged to go. The difference being that the Disney program is much more crowded making it difficult to make friends as the same kids were rarely there at the same time. On other ships she has made new best friends by the second day and spent lots of time together to the point that they cried when saying good-bye. I’ve never cruised but I REALLY want to one day, especially because of the programming. I figure it is a way for parents to go on holiday and actually get a few little breaks here and there! Otherwise, a family holiday sometimes requires a recuperation holiday for the adults! :) I think my kids would have a blast! They have a 6 year age gap, so it would allow them to make friends and hang out with kids with similar age interests. mara recently posted..Comment on What Does 20 Years of Marriage Mean? 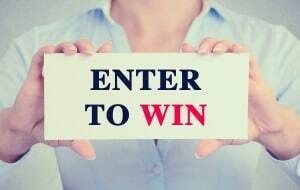 by Do You Travel Without Your Spouse? I am currently working as a medical officer onboard a Holland America Line cruise ship. I have both my boys, ages 4 and 7 in Club Hal. As a fulltime traveler, my wife and I rarely have babysitters available. That means we don’t get much time alone. On the ship, we can regularly get at least an hour or two in the evenings thanks to the kids club. They have it divided into 3-7,7-11 and teens with separate areas for each. They alternate between lots of indoor and outdoor, planned activities and free time. The kids club has worked very well for us. Eric, what a great perspective and a wonderful opportunity for you and your wife to spend some time together. I’ve never cruised Holland America but would love to. Sounds fantastic! 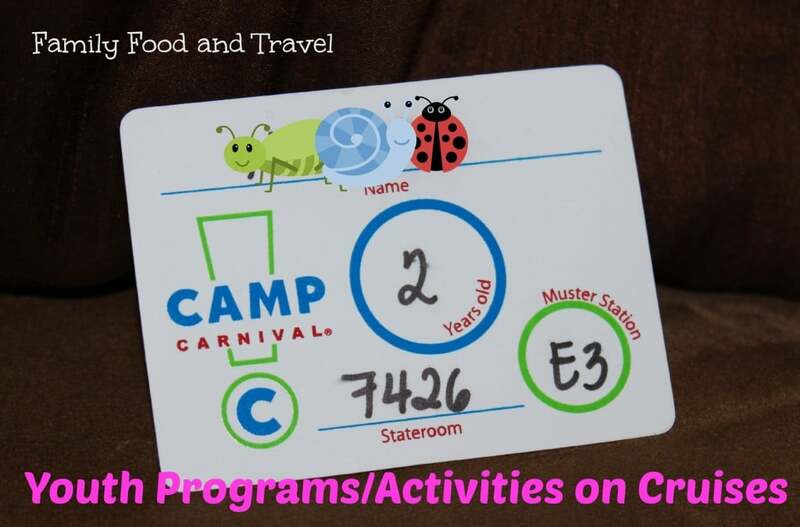 I’ve heard so many great things about Camp Carnival (online and from friends) but have yet to sail with Carnival with my kids – hopefully it’ll happen soon than later. I love how so many cruise lines offer activities for kids – it’s a great way for them to socialize and make new friends and also gives parents a bit of a break to relax and have an adults only meal during the vacation. SOLD!!! hahaha! we don’t have any family to babysit so allll of our holidays have to be together. this seems like a great compromise to get some adult time in and still have fun as a family. Is the kids club all inside? it seems sad to go to great weather and leave them inside to play for the morning. and the age splitting would be really hard on my kids who kind of travel as a pack most of the time. sounds amazing though! wonder if the hubs can get over his motion sickness to cruise……. Jennifer recently posted..PC has everything for Summer’s on the patio! Thanks for the tips. We planning on taking our first cruise with our 5 year old son next year. This info will certainly come in handy! I have done a lot of cruises but one one with my kids when they were 4 and 3 which was a Disney Cruise. We love it and the kids did too. They did join in some of the kids club activities but we didn’t leave them.